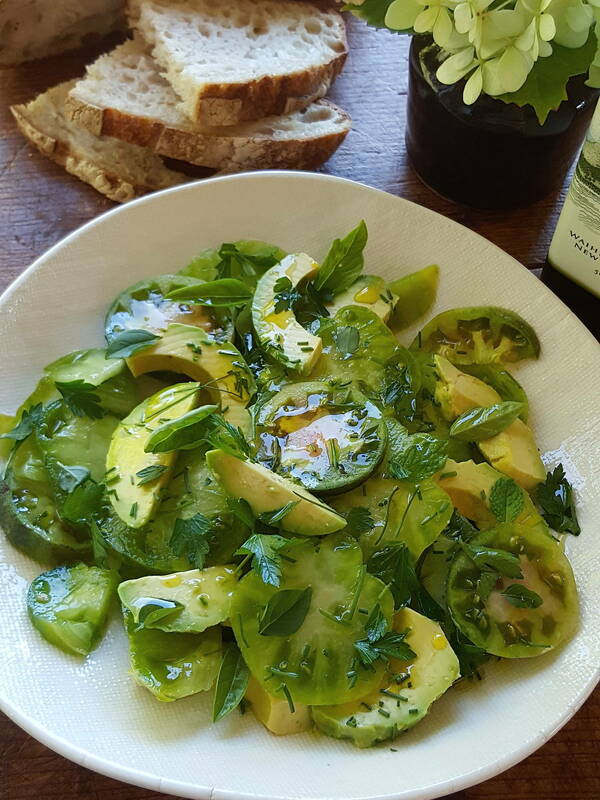 If you have access to great tomatoes from a farmers' market (or grow your own), give green tomatoes a try with avocado. Serve as a summer starter. 1 Slice tomatoes. Halve avocados, remove stones, peel and slice. Arrange tomatoes and avocados on individual plates. Squeeze over a little lemon juice. Drizzle with oil and season with salt and pepper. Serve immediately. 2 For a change, top the salad with sliced feta and basil leaves. 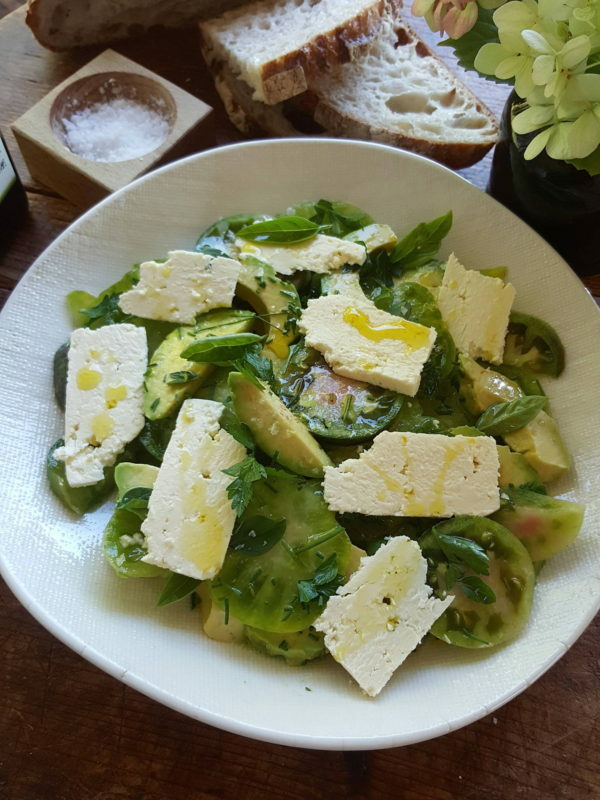 Green Tomato & Avocado Salad topped with feta. Carrots are often added to a plate for colour ... but they can be the centre of a delicious all-vegetable dinner.